My apologies to all you seasoned writers. My efforts have been influenced by years of reading purely for entertainment, and by relying on an arbitrary selection of what I do read. I look at the book covers and judge the titles. I read about the author on the jacket. Occasionally, I order in books when reviews spark my interest. I stumble on authors, some I really enjoy, and just as easily forget them. “Now what was that guy’s name, again. Oh well, this looks good”. You can imagine my surprise wading through the opening pages of a recent find to discover that narration is now dead in our Society. Apparently, its death began with the invention of the TV remote and a new-found power for people to switch between stories, programs, and events with the click of a button. Instantly. Adding in the digital age producing numerous platforms of instant communication, the death of narration is speeding up. This book of ideas is called, Present Shock (Douglas Rushkoff). I’m just half way through as I write this, but Rushkoff has added to my understanding of our growing disconnect with The World. In particular, the section on Chronobiology is fascinating for me. I believe it is a pretty good foundation for my unease. Chronobiology is the study of biological rhythms based on solar and lunar influences. This is really another description of time as far as I’m concerned, but that conclusion might be a little heavy on shorthand. Not only is modern mankind divorced from nature and the surrounding natural world due to our reliance on technology, we have also started to lose our sense of time, itself. Thus, begins the loss of narration in our entertainment, and within our self-concept of reality. A story, (our Story) requires a beginning, middle, and end. While there are writing tools that mix and match these divisions, nevertheless, a reader/listener is constantly involved as a story unfolds. Apparently, many have lost this ability or their desire to be invoved with the process. Imagine, people are losing the ability to listen. ” Everything changed, finally, in the Axial Age with the invention of text”. The book goes on to explain that with a concept of time based upon the Earth’s seasons, the idea of a calendar was born, albeit somewhat based on the 28 day moon cycle. Benedictine Monks organized the calendar year into events, and every day into specific and precise divisions for , “prayer, work, meals, and hygeine”. European mechanical clocks were invented, (as opposed to Chinese water clocks), and eventually the ability to track and use time became the foundation of living for all European people. Town clock towers began to dictate the “rhythms of daily life”. There evolved a time to get up, eat meals, go to work, measure output, and evaluate effort/work. Of course, this newly found circular/analogue clock still mimicked the cycle of a day (and a year), and while it broke time down and our place within it to precise and meaningful instants….it was still relatable. It made sense. It was human. We also had opportunity to adjust. A clock has hands. It is circular. It has 12 hours just like there are 12 months of the year. It measures them twice every day; once for day and once for night. It has to be wound up by a person, and regularly checked for operation. It is an actual tool for understanding our place in events. (Pun intended)….fast forward to today; the digital age. There is no longer any rhythm in our sense of time. The digital clock is instant. A digital clock flashes a number, then another at whatever speed is programed into it. A phone is also a clock, and updates automatically with seasonal time change or by movement across zones with internal GPS tracking. It requires no thought to appreciate time, it just is. We are also in constant/instant communication with everyone who decides to reach out for us; right now. Contact is now by brief and instant text message or images. People can hold up their phone, point it at the sky, and will be rewarded with a screen image of the heavens precisely overhead, regardless of the time of day, the weather, or our lack of knowledge of what to even look for. And in this speeding up of time, easy access to information and communication, or destruction thereof if you like, a decline has seeped into every aspect of our lives, including entertainment and how we make sense of the world. 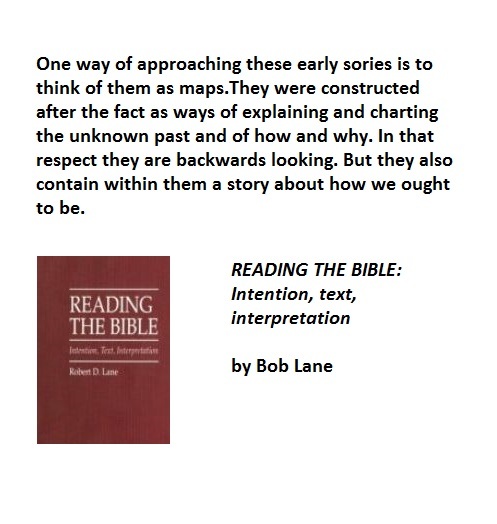 Many people have lost the patience and ability to understand a story; narration. Often, there is no longer a beginning, middle, or end within modern entertainment. There is only right now, the present being of constant experience, noise, and laugh tracks. Our entertainment has degraded many important aspects of being Human. Or as the Seinfeld sitcom told us years ago, a modern story can be about nothing. And it often is. If we are always in The Present, how do we compare what we see now, to what has happened in the past? How will a cycle for understanding develop? How then can we critically think about the future? How will we imagine a future? How do we change ourselves into something we wish or believe we should be? Or, do we simply react to scripted events like planaria in a petri dish? In a world of 24 hour lights, constant stimulus, immediate communication, unlimited entertainment, controlled environments, we are now blind to natural cycles of life. We are immune to time, itself, until aging brings all of us up short……. Living in the Digital Age produces anxiety. I am uneasy, and Neither Fish. Imagine you are in a restaurant. To the left sits a couple in their sixties. See the ‘reserved table’ sign, two glasses of wine, empty place settings, and an intimate conversation. First guess is perhaps it is their anniversarry, or another special event. The couple leans forward and makes eye contact while speaking. While you might not hear what they are saying, you appreciate the intimacy and the importance of their conversation; of being together. To the right is another table of 3 young couples. Two of the people, (who might be uncomfortable), are checking their phones for messages. Another couple quickly stands and pantomine exagerated smiles while snapping selfies. There is lots of laughter and swearing. They quickly sit down as their food arrives. More pictures of the table and plates of food. Pictures of people eating and then showing others. More laughter. More swearing. Over and over and over again. Someone hits ‘send’ on their phone and relays the experience onwards. Will there be a tweet? For sure the evening will be immortalized on Facebook. This past weekend my wife and I were that ‘couple in their sixties’. 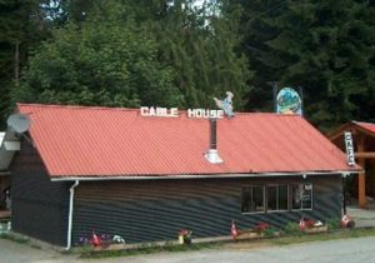 We decided to dine at “The Cablehouse Cookhouse”, a local cafe. This particular restaurant is constructed of round and round looped logging mainline cable, welded up and sealed. Wood pank floors. There is only one other option (been there done that) and our favourite restaurant is now closed for the winter. A drive to town is one hour away and definitely not worth the effort for just supper. We decided on the Cablehouse in order to support a young lady we know who has taken out a lease on the facility this year and hopes to make a go of it. The table of three couples were all kids that I knew. One was a past student and I can safely say that I single-handedly got him through school. I coached him when it was and when it wasn’t appropriate to swear. I let him read hunting and gun magazines during silent reading. Anything to promote reading. Anything. His first words to me on the very first day of school was, “I’m not doing that, it’s stupid”. (Grade 5) When he was twelve I hired him to dig a pond on our property. He walked his Dad’s excavator down through the woods on an old skidder trail, and when he threw a track he was able to walk it back on without any help. I have also bought lumber from his Dad for the last 15 years. Dad runs a sawmill when he isn’t falling trees for a local forest products corporation. Where else could I go and drive right on in behind the house, load up some of the finest old-growth lumber on the planet, do my own tally and just leave a note saying what I picked up? And try and pay! Usually I just give him an envelop of twenties and say it is, on account. A few months later I get a call with the balance owing. Back to the restaurant. The kids shouted, “Hey”, as we walked through the door. (Remember, we have history.) The dinners were consumed as written above. They paid…and left. We waited for awhile, paid, then left ourselves. Outside the kids were smoking before heading to the bar or a party. I declined both a smoke and doobie and said, “It’s been a long time since I smoked either”, and they all laughed, as intended. My student told me about his mechanics course and tossed in the Eff Bombs at appropriate times. (hmmm, I must’ve done something right in teaching…..). We left to go our separate ways. 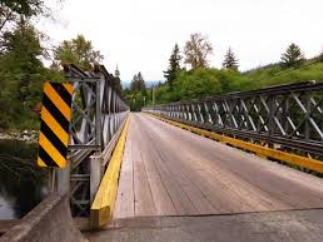 While backing out of the gravel parking lot in Michelle’s Yaris I watched their pickups peeling out rubber and launching across the one-way Bailey Bridge; on the red light, of course. I remarked to Michelle on the way home, “These are my People”. We laughed, but then later talked at length about it.